Mapping the Nation: GIS for Good Governance is a collection of maps that illustrate how geographic understanding forms a solid foundation for good governance in the United States and around the world. The technology enables decision-makers to quickly discern and resolve their constituents’ needs by collaborating across all levels of government. 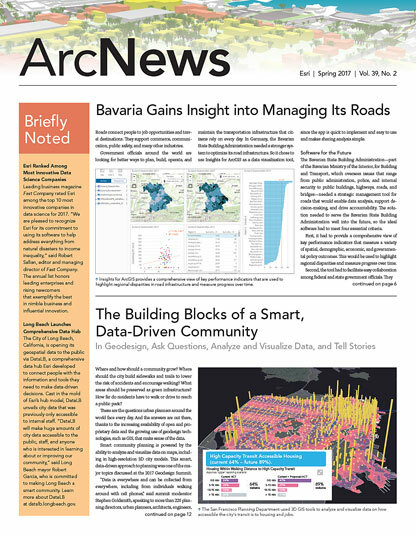 Examples in this book explain how agencies and legislators use GIS to solve problems and inspire and coordinate action. April 2017, 120 pp. Paperback ISBN: 9781589484726. 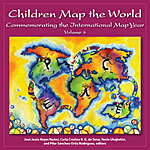 Children Map the World: Commemorating the International Map Year, Volume 4, showcases 50 maps created by children aged 5 to 15 for the 2015 International Cartographic Association’s map design competition, held in Brazil. The drawings convey powerful messages and emotions that reflect the contest’s theme, “My Place in Today’s World.” The second part of this volume includes a special atlas of 50 additional maps selected from previous competitions and dedicated to the International Map Year. Children, parents, teachers, and map enthusiasts will delight in the work of these imaginative young cartographers, whose representations of the world and life in it exhibit their many perspectives on the state of our planet, from optimism to pessimism, grandeur to lightheartedness, and beauty to sobering—and sometimes frightening—truths. April 2017, 140 pp. Paperback ISBN: 9781589484788.